In this Gregorian month we have many big events. 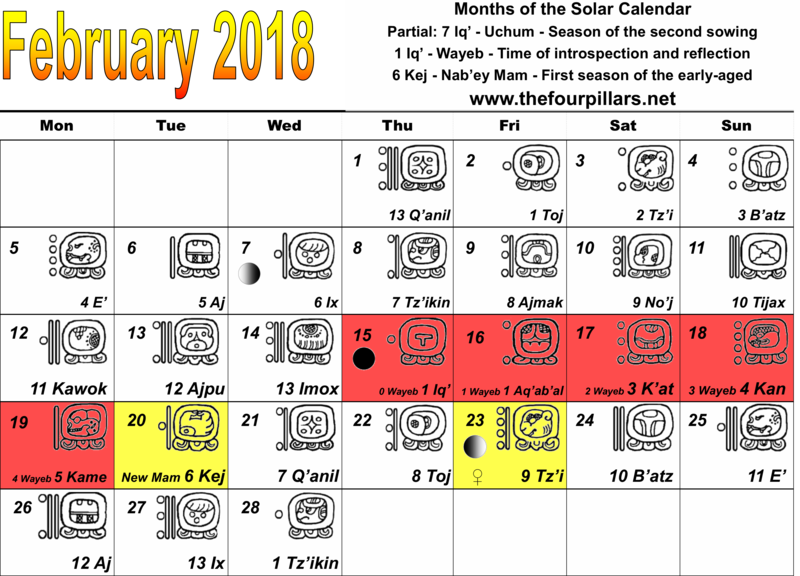 The biggest is the five days of Wayeb, which begin on the 1 Iq’ (15th February) and lead us up to the beginning of the new solar year 6 Kej (20th February.) This should bring a distinct change in energy, from the turbulent and unpredictable year of 5 Iq’, which we have been experiencing since February 20th 2017. Additionally, we have a Venus event, as this important planet begins its phase as the “evening star” on 9 Tz’i (23rd February). 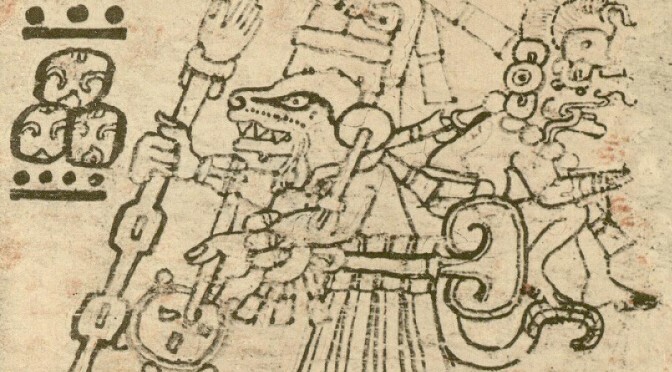 Where its morning star phase brought disruption and revelations, especially to men in high places, the evening star phase can be seen to set the path straight again. By later in the month we should be experiencing a great deal more stability than we have experienced in the last 365 days!